I love Dr Goudreau! I have been seeing him since 2012 ! My insurance did not cover him so I wentto their doctor it did not work for me. So I went back to him and will continue to use him as my primary! I love Dr Goudreau! I have been seeing him since 2012 ! My insurance did not cover him so I went to their doctor it did not work for me. SoI went back to him and will continue to use him as my primary! 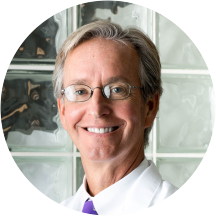 Dr. Goudreau joined MSA in 1989 after his Internal Medicine Residency at Presbyterian Hospital of Dallas. He attended Baylor University receiving his BA in Chemistry and Medical School at the University of Texas Medical Branch. He is a member of many professional organizations including the American Medical Association, Texas Medical Association, and Dallas County Medical Society. Dr. Goudreau is Board Certified in Internal Medicine. He has previously served as Team Physician for Naaman Forest High School, Dallas ISD, Baylor University, and Lake Highlands High School. Dr. Goudreau frequently appears as an On-Air Medical Expert for television Channels 4 and 11 in Dallas/Fort Worth. Dr. Goudreau is recognized as a leader in Adolescent care and Sports Medicine. His patients appreciate his thoroughness and great bed-side manner. In addition to English, he also speaks fluent Spanish. Dr. Goudreau is an enthusiastic pastel and watercolor artist and also enjoys playing clarinet, oboe, harp, and piano in several area orchestras. He also competes in Ironman triathlon competitions. It was really quick and thorough and not a lot of wait time. Very Personable and great doctor! Dr Goudreau takes the time to speak with you and always makes my visit there an enjoyable experience. I always get seen right away as well which is nice! Excellent, caring doctor. Takes his time with you. Never rushed. This was my first visit to Dr. Goudreau. My previous primary heath care provider has retired so I needed another one. This was an excellent "first" visit. All my question were answered, a complete physical followed and follow up appointment was made with minimum delays in procedures. The staff was fantastic, I got to my appointment about 10 minutes early and since I had already checked in online, I only needed to fill out a small amount of paperwork. I had zero wait time and my appointment startedperfectly on time. Dr. Goudreau was very pleasant and easy to talk with. I would definitely recommend him! Dr. Goudreau was great! He was very nice, understanding, easy to work with, etc. He was very thorough. I arrived at 10:00 for my 10:30 appointment, and finally saw the doctor around 11:30. However, I had talked to his nurse beforethat! Dr. Goudeau apologized for the wait and assured me this was not the norm!! The computers were down, and there was a technology problem that caused the delay. His bedside manner made up for the wait, and I will definitely be back! This was my first time to see Dr. Goudreau. He was very friendly and easy to talk to. The office space itself is a little old and outdated but everyone working in the office was very friendly! I am new to the area, and I wasn't really sure where to look for a doctor. Dr. Goudreau was rated highly on ZocDoc so I booked my appointment. He was excellent, the staff was friendly, and I was in andout in no time. I highly recommend him to anyone looking for a primary care physician. Also, he took the time to refer me to another doctor for ADD testing rather than just handing me a prescription for a potent drug. I appreciate his due diligence. Really laid back but really professional! Very personable doctor. Gave specific examples of what I could do to keep healthy and I felt I was more than just a number. The office staff was excellent. I believe I've found a new doctor! I am receiving chemo infusion for liver cancer. One of the results of this treatment is diarrhea. The Oncology group recommends Gatorade to replenish electrolyte. Goudreau said that was awful, and recommended Pedialyte. Purchased some andcould not take it. The 20 meq KCl tablets from CVS are rough, noncoated, and often stick in my throat. I previously received 20 meq KCl tabs from Medco, and they were coated. My CVS pharmacist said that he could supply 10 meq KCl capsules. I told Dr. Goudreau that, and he no and prescribed liquid KCl. Cannot take that liquid, tastes awful. Dr Goudreau was awesome. I would highly recommend him to a friend or family member. My first visit to this practice was excellent. The doctor and his entire staff were very welcoming, friendly, professional, and efficient. I was extremely impressed by the care and concern from Dr. Goudreau during my initial visit with him. He emphasized the need to get on a low salt diet to lower my blood pressure and he told me safe foods toeat. Also, I was greeted by everyone at the clinic telling me how much they appreciate me as a new client. I felt glad to have signed up with Medical Specialists Associated and will be a happy patient for many years to come. Such a fan of Dr. Goudreau! Highly recommend him. Although I have heart disease, he never listened to my heart. Did not even have stethoscope with him. Based on that morning's one blood pressure reading, he quadrupled a beta blocker I am on, a drug he did not prescribe inthe first place and that I have worked for two years with my electro cardiologist to get to the right level for me. BP readings were normal during the rest of the day with usual drug regimen. Dr. Goudreau is a very friendly, highly competent physician who deals with his patients like he truly cares about their well being! My wait time was long because I was early. Went well - got my prescription. I highly recommend Dr. Goudreau. Truly a healthy lifestyle advocate. He has helped me quit smoking. Now working on BP and exercise program. The whole process is fantastic: nurses, front desk and check out. I don't like doctors, medical visitsetc but Dr. Goudreau and his team make it seem not so bad! Excellent Doctor...been a patient for over 15 years... Jason U. Good bedside manner that has important information. Dr. Goudreau is seriously the best PCP. I am the happiest patient. He is kind and attentive, and is so knowledgeable on everything from back pain to anxiety. His staff always works to get you in quickly, and everyone there is so helpful. Excellent care from Dr. Goudreau and his staff. It is so helpful to be able to have lab work and other tests done at his office and not have to schedule another appointment at another location. Dr. Goudreau's nurse April is very helpful. Very caring staff. Excellent bedside. Good sense of humor. Thorough questioner. Dr. Goudreau was great! Very knowledgeable and informative. He toed the line well between being too technical and not being technical enough (I don't work in the medical field). Will definitely return. For someone who hasn't been to a doctor in over 4 years I wasn't sure what to expect. The staff was helpful and they all seemed liked they knew what they were doing and were very professional . The waiting timewas very little and I was out the door before I knew it. I am very happy with my experience with Dr. Goudreau, he was down to earth and easy to talk to. I never felt intimidated or felt like he was speaking or using terms that were beyond my understanding. Excellent facilities and Dr Goudreau and staff were all knowledgeable and polite. I felt like I've belonged to the practice for years from my first visit! Dr. Goudreau and his staff were so kind and professional. I would definitely recommend him! Dr. Goudreau was very knowledgeable about my health condition and gave me a excellent exam. I really like Dr. Goudreau, this was my first visit and was leary being new to Dallas. Will definitely see him for a while moving forward. highly recommend him. I've needed a family doc for so long and I have absolutely found that in Dr. Goudreau. He was easy to talk to, responsive, and detailed. Great experience! Dr Goudreau was very kind and a good listener. He had a nice sense of humor and a pleasant personality. Very pleasant, asked the right questions and listened with genuine concern to all my answer even though I was only there for a check-up. He was bright, funny and made me feel very comfortable throughout the entire examination. He's a great doc. Well versed and a nice guy. This was our first visit. He was great, we enjoyed the visit. Dr. Goudreau was amazing! He was very polite and professional. I am very impressed with my first time visit.